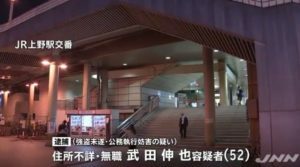 SHIGA (TR) – Shiga Prefectural Police last week launched a murder investigation after the stab-riddled body of a man was found at his residence in Nagahama City, reports Jiji Press (Oct. 22). At around 1:20 p.m. on October 20, an acquaintance of Masanori Kitamoto, 81, visiting his residence, located in the Shinzencho area, found him collapsed in the first-floor living room with multiple stab wounds to the back and other areas of his body. 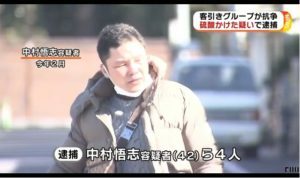 The results of an autopsy revealed the cause of death to be punctured lungs, the Nagahama Police Station said. According to police, the stab wounds reached as deep as 14.5 centimeters. As well, injuries to fingers on his left hand appeared to be defensive in nature. 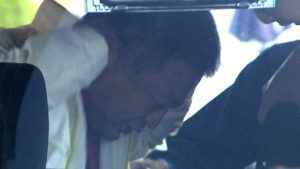 A witness reported seeing Kitamoto about four hours before the discovery of his body, meaning the crime took place sometime between then and 1:20 p.m. The weapon used in the crime has not yet been found, police said. In December of last year and this past August, consulted with police about an unspecified form of trouble.